As [Jesus] was now approaching the path down from the Mount of Olives, the whole multitude of the disciples began to praise God joyfully with a loud voice for all the deeds of power that they had seen, saying, "Blessed is the king who comes in the name of the Lord! Peace in heaven, and glory in the highest heaven!" Some of the Pharisees in the crowd said to him, "Teacher, order your disciples to stop." 40He answered, "I tell you, if these were silent, the stones would shout out." … Then he entered the temple and began to drive out those who were selling things there; and he said, "It is written, 'My house shall be a house of prayer'; but you have made it a den of thieves." Lent draws ever nearer to the event of the Cross. This baptismal pilgrimage of repentance and discipline is about to make its turn into what the Church calls “Holy Week.” This eight day observance, following the four gospels, literally slows to a crawl, devoting intense attention to the days leading to Maundy Thursday, Good Friday, and the dawning of the Resurrection of the Lord. Luke, our primary evangelist for this year’s paschal pilgrimage, devotes 20% of his gospel account to these eight days. As the apostolic accounts slow to a painful and laser-like focus on these days of challenge, failure, ignomy and triumph, so the Church fixes its eyes and attention on the holy walk of Christ to the Cross and empty Tomb – the Path of Palm and Passion. When I was a kid, Palm Sunday and Easter Sunday stood as fundamental poles for this journey, but, owing to the Protestant emphases and habits of my childhood congregation, spent little time on the period between those signal events of the triumphal and palm-strewn entry to Jerusalem and the proclamation of “He is risen indeed!” So easy it was for us to pole vault from “Hosanna!” to “Hallelujah!” -- with barely a mention of the crucial events in between. It’s a casualty of our penchant for Sunday observances, and the preference of most of us, even pious church attenders, to skip what happens from Monday through Saturday. Friends, I want to ask you something, from the bottom of my heat: Don’t let this happen to you this Holy Week. 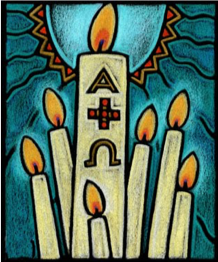 For the Jesus Community, this period of eight days is, at its best and most productive, a time for palms and for passion and for proclamation. Not any without the others, but all in holy chorus and in serious complementarity. As an example, just look at Luke’s account of Christ’s entry to the holy city. I’ve been on that steep and winding descent from the Mount of Olives to the gate of Jerusalem, and you can feel the anticipation in the terrain all around you. All the players are there – the band of disciples, eager for their King to claim his crown and wrest the city and the nation from its corrupt and self-serving political leaders. Jesus will reign, so they reason, with cabinet positions and power brokerage for themselves. And the crowd joins in, singing and waving and welcoming the new Davidad who will wipe the slate clean, and offer a righteous counter to the Roman occupiers and the worthless shills who conspire to keep the people under their collective thumb. And the opponents are there as well. Pharisees, who see the dangers of insurrection and official backlash in the wind, make plain their fear that the response of Rome and her clients will be bloody and quick to squelch this Galilean political rebellion. This only intensifies as the Nazarene enters the temple courts, ejecting the merchants and declaring a return of the temple courts to proper and God pleasing prayer. And as he sits in the role of Teacher and Prophet each day, their anxiety gathers steam, and the spring that winds ever tighter and more deadly gains in force and danger. And that is what we follow this Holy Week – the concourse of praise and fear, adulation and opposition, the prospect of a kingly crown that will be worn not on a bejeweled crown, but on the cross, the Empire’s ultimate symbol of condemnation and shame, and the Gospel’s key moment of innocent pain and redemptive loss. So, from Palms to Passion, it all counts. It all matters, every painful step. 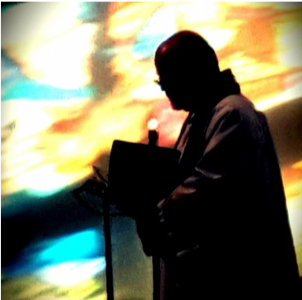 If you are local to this parish, I invite you to join us Monday through Wednesday for noonday or evening prayer, to the hearing of the Markan (Monday) and Matthean (Tuesday) gospel accounts, and to the bending of our heads and our wills to confession and repentance on Wednesday. These three days of daily reflection lead to the Great Three Days (in Latin, Triduum), where, as in the gospel texts themselves, we follow step by step from Upper Room to Garden arrest, from mock trial to Peter’s Denial, from interrogation by the Romans to the torture and crucifixion under their cruel and diffident regime. 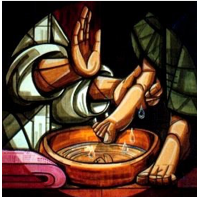 Join us on Maundy Thursday, at Noon for Eucharist, for the Agapé Community Meal at 5:30pm, and at 7pm, as we wash feet, strip the chancel, and hear the great 22nd Psalm, “My God, my God, why have you forsaken me?” Hear each Mandatum of Christ that day and night – to serve in humility, gather in true Communion, and prepare for the solemnity of the Friday we call Good. Return to walk and ponder with us on Friday at Noon, for three hours of prayer and reflection on the Stations of the Cross (Noon till 3pm), and then again at 7pm for a solemn hearing of John’s Passion Account, clustered around adoration of the Holy Cross. Be with us at sundown on Saturday (7pm), as we welcome Easter with a great Vigil Mass, including an outdoor bonfire, lighting of the coming year’s Paschal Candle, hearing of a series of great texts from Torah and Prophets, culminating in baptisms and Eucharist. Walk with us through it all, that our gleeful cries of “Hosanna!” may turn to a truly informed and deepened cry of “Hallelujah!”, having witnessed and prayed every step in between. 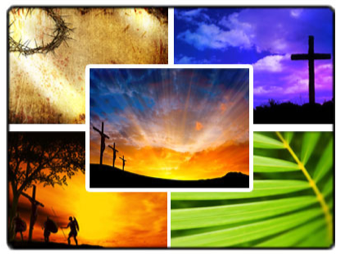 I look forward to joining with you at worship throughout these sacred days – whether here in Torrance or wherever your path of reflection may take place -- as we follow the Christ, and especially as we follow along the oh-so-shrouded events of the Palm and the Passion. 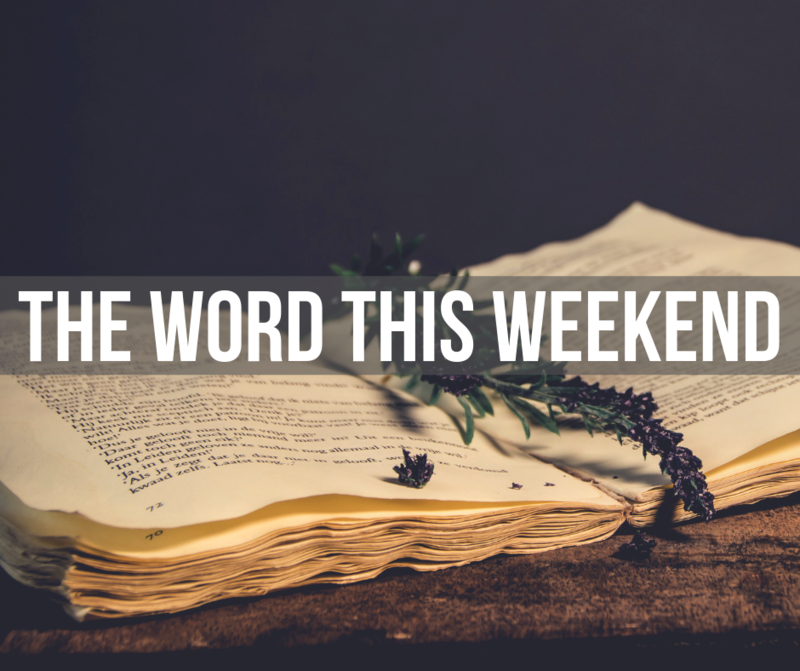 Because, as the title of this essay suggests, there are really three “P” words embraced in the Great Eight Days of Holy Week. There are the Palms, for sure, and the Passion as well. But there is also the third of these words -- the Proclamation, echoes of the Women who first encountered the Empty Tomb, experienced by their still-tear-stained faces and still-wounded-hearts, as they raised their voices to proclaim and announce “He has been raised, raised indeed!” For them, as for us, the words of the Easter Proclamation can only be properly formed, framed and spoken when the path of Palm and Passion have been walked and engaged in all its tragedy, triumph and fullness. And so, may the grace of the Son of God, inscribed in cruciform on our heads and our hearts, inspire and lead us to draw strength for the work of the kingdom in our own day, resting in the gifts of Water, Word and Table. May the Paschal walk be productive in our lives and our witness, that we might come to resolutely trust in his saving hope, and learn to obey God’s vision for sacred community in his service to this impetuous and fallen world. And may God be with you, and with all the Saints, on the Path of Palm, of Passion, and of Proclamation – this Holy Week and always!